Encountering Monsters, Maidens & Mayhem! This was one of the few books that caught my eye at New York Comic Con. In fact, it was probably the only book I was interested in when I was handed a flyer for it. So interested in fact, that after I lost the flyer, I went searching all over the place for the booth hoping to snag myself a copy. 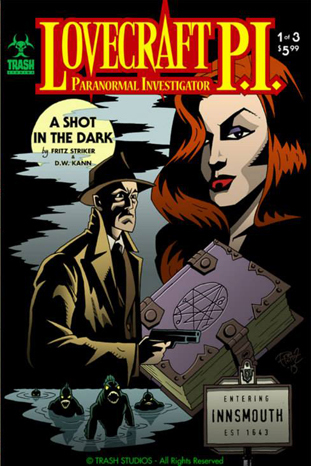 Lovecraft P.I mixes together the eerie worlds of H.P Lovecraft and the hard-boiled detective novels of Dashiell Hammett to create this supernatural noir limited series. Originally written as a screenplay by Fritz Striker and D.W Kann for a movie feature, which didn't come to pass, Lovecraft P.I is making its way to paper in luscious ink. 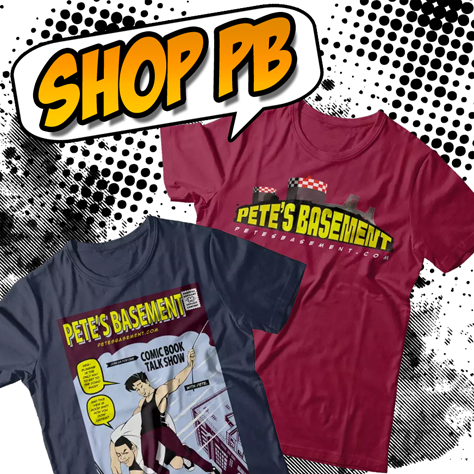 I was slightly disappointed to find out that the book was currently on a Kickstarter campaign, and I couldn't purchase it right then and there. So I eagerly donated 15 bucks to the Elder Gods when I got home, which would not only give me a digital copy of the book, but a physical copy and a sticker too! 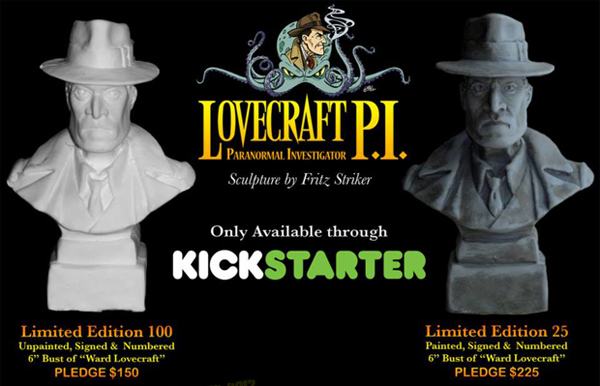 Trash Studios also offers some other really neat incentives for backers, like a signed, limited edition bust of Ward Lovecraft. I'm down with the supernatural and the occult. Mix it with old school noir detective stuff, and I'm sold. If you also like that sort of thing, check out Trash Studios Kickstarter campaign and swing the fella's a few beans. The campaign ends on Halloween! Why not give 'em a like on Facebook too? AMC Orders Pilot for DC/Vertigo's "Preacher"